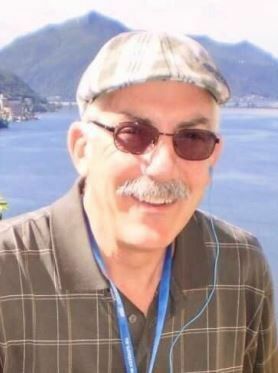 BRENTWOOD, Calif. — Thomas (Tom) Conover was best described as a ‘good guy,’ always willing to use his abilities to help others. Tom passed away on Dec. 26, 2018. Thomas Ray Conover was born May 27, 1948 and raised in Broadview, the son of Robert C (Junior) Conover and Margaret A (Maggie) Mike Conover. Tom graduated from Broadview High school and Montana State University. In Sept. of 1969, he married his high school sweetheart Connie Beeman and they moved to California. After retiring from Fireside Bank, he and Connie moved into a home he had redesigned from the inside out. Tom could be described as a renaissance man. He was creative, fun, kind, and generous. Both he and Connie were very involved in every community in which they lived. Tom also stayed connected with his high school classmates and the Broadview community throughout his life. Tom is survived by his wife, Connie; daughters Danielle (Adam) Thompson and Jenna (Dario) Marroquin; grandchildren Gavin and Brenna Thompson; mother Maggie Conover; brothers Bob (Ann) Conover, Steve (Cindy) Conover; many nieces, nephews, and cousins. A celebration of Tom’s life will be held in California Feb. 16 and one in Montana in the spring with details to be announced later. Memorials can be made to the American Heart Association. ‘It matters not how a man dies, but how he lives.’ Tom lived well and his laughter and warmth will be missed by many.